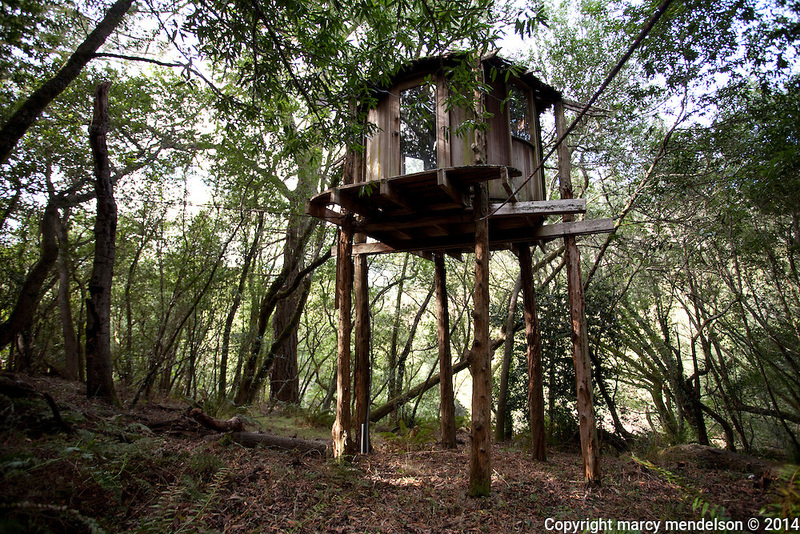 Hidden in the dense forest of Druid Heights stands the treehouse Ed Stiles built in secret where he could seek solitude from the chaos of the 'unintentional community'. It stands on precarious stilts and is on the verge of collapsing. A peek from the ground reveals bedding and books still inside the elevated room.